As history reminds us, the Jewish people are again in the epicenter of controversy and are increasingly becoming the scape goat for the world's woes. Also within the epicenter are Christians, with over 900,000 killed in the last ten years and Christian persecution pointing to the Great Tribulation. We rejoice that the great mystery of Godliness and the corresponding mystery of iniquity-lawlessness and rebellion against God, are coming to a climax. Yet in the midst of God's righteous judgements we are sorrowful over the lost and pray for mercy. Almost seventy years ago, on November 29th, 1947 the United Nations General Assembly passed a resolution that called for the creation of a Jewish state. Since then, there has been a converging of events bringing new relevance to many Old and New Testament prophecies. Is God the Father about to send Jesus to start His Second Coming? We hope and pray so every day. What greater event could be the catalyst for all the great things prophesied for the end of the Christian era? As with all prophecy, fulfillment waits for God's timing in His step by step masterplan of creation and redemption. It is truly a progressive vision. This was true of my heritage as a fifth generation Christian Zionist. In the 19th century, my forefathers prayed for and then recognized the beginning of the regathering of the Jewish people to their historic land of Israel. Today, we see God bringing His prophetic word to a new maturity and we are called afresh to stand for God's promises for Israel. The Lord has foretold us through the prophet Ezekiel what we have seen in the rebirth of Israel in remarkable clarity. From the 36th Chapter to the end of the book, it is one great prophecy concerning the restoration of the Jewish nation. It is in the middle of this prophecy that we see Gog coming up against them already living in their land. What is the goal of Gog and those in league with him? In Ezekiel 36:2 we see the boast of Israel's enemies, the high places are ours in possession, it is Jerusalem, and the land of Israel. There are many other prophecies which point out that this prediction concerning Gog has more to it than just the judgment of God on the armies Russia will bring against Israel. This war for Jerusalem contains within it a description of the final destruction which the Lord Jesus Christ Himself will execute upon the last enemy that comes against Israel in their own land. The last Antichrist will be this enemy and leader of the confederacy of all nations. He will not only be head of the lands depicted as 'Magog', but also be in control of all the area which has been occupied by the four great Monarchies foretold by Daniel. The Word of the LORD is sure and modern Israel is proof that He will stand with Israel against all odds. Since their War of Independence, every time their enemies attacked them with the goal of destroying them, Israel received more of their land inheritance. Our God will get all the glory in this war and Israel will be miraculously saved like they were in 1948, 1967, 1973, and ever since. Will America and Europe be part of this soon Gog and Magog war? The United Nations and the European Union are already complicit by their actions against Israel, so it is not hard to contemplate their not escaping some type of involvement. Their leading role in the recent U.N. 2334 vote led by America is all the proof one needs. American Christians supporting Israel voted mostly for Donald Trump. He was the best choice for America, compared to a continuation of Barak Obama's policies if Hillary Clinton was elected. Many of us are thankful for the outcome of the election and believe God heard our prayers of repentance according to the 'If my people' theme of 2nd Chronicles 7:14. America and Israel have been given a reprieve from the diabolical anti-Christian and anti-Israel policies enacted by Barak Obama. Yet many Christians, including myself, have good reason to be cautious and are not letting down our guard. Donald Trump is a man of great human pride and he does not represent a revival. Those who are wondering about where Israel may end up with a President Trump peace plan should take heed. His America first and prosperity message are a big part of his populous appeal. In turn, he has gathered around him many Christians, some of whom hold Dominion Theology ideas which teach deceptive interpretations of Scripture. The main error of Dominion-ism affects how one views Christ's Second Coming. It promotes the old idea that the Church will take control of the nations and then Jesus will be able to return. Will President Trump successfully move the U.S. Embassy to Jerusalem and will God allow his policies in the Middle East to put off the Gog & Magog War to a later time? Mix that with Trump's deal making expertise and we may end up with a modified plan for a two state solution. Trump really believes he can bring a lasting peace. He has appointed his son-in-law, Jared Kushner, to be a senior cabinet advisor with the job of brokering a new peace agreement. Kushner is married to his daughter, Ivanka Trump, who went through a vigorous conversion in 2009 in order to marry Mr. Kushner an Orthodox Jew. They observe Shabbat, keep Kosher and worship at an Orthodox synagogue in New York City. President Trump said to Kushner, "If you can't produce peace in the Middle East, nobody can." We can reply that a lasting peace will not come until Jesus Christ, the Prince of Peace reigns from Jerusalem. The prosperity and safety message of the Trump presidency and the national stirrings within the nations of Europe are not enough to deter God's righteous judgements. There has only ever been one message that brings true revival and that is our turning back to Christ in true repentance. The truth is, the antichrist crowd is regrouping and will march with a vengeance in the near future. We the Church are not facing the real issues of our departure from God. It is obvious that many in the Church are more ready to welcome Christ's greatest imposter than our Savior Jesus. We have left the Lord and His principles and are asleep to our real situation - we are the epitome of the Laodicea church. The Lord Jesus Christ is coming "as a thief in the night" and great judgements are on the horizon for all those who ignore God's promises for Israel and the Gospel of the Kingdom. The promise of peace and safety can lull us to sleep unless we stay spiritually alert. During this time of reprieve it is important that we redeem the time in prayer and dedication for God's work. While we pray with the spirit, we have to pray with the understanding also, and our attitude and behavior must make God's answer possible. It is sure that the enemies of Israel and the Church are not going to be silent. The United Nations' anti-Semites are always looking for their next attack. Israel knows this full well, it is never the question of IF there will be another attack or war, but WHEN? We as the Lord's watchmen must keep vigilant with the same alertness. To speak the truth in love as we speak up for Israel and the hope within us. To stand firmly for the Jewish people and their returning to Israel. For the Lord to confuse world leaders who ignore God's promises for Israel. For Christians and Jews to see the folly of a two state solution for peace. For the Lord's grace and protection for Palestinian Christians. For God's mercy on today's Laodicea Church that we may find true repentance. For God the Father to send His Son, Jesus Christ. In the Blessed Hope of the Church and the Peace of Jerusalem. END TIMES..OR JUST THE WAY IT HAS ALWAYS BEEN? Do you remember the song "Signs" by the Five Man Electrical Band? This popular tune made it all the way to number 3 on the Billboard charts during the summer and fall of 1971. The refrain concludes with the words, "Sign, sign, everywhere a sign, sign, sign, sign." Many today ignore these signs, believing that our day is no different than any other previous time in history. I beg to differ with this sentiment. I believe there is something radically different about what we are now witnessing today in our world. The signs we see today differ in many ways from any previous time in history. We see it in the exactness with which Old Testament prophecies are coming alive before our eyes. We see it in the increased intensity and frequency of the signs Jesus gave to us. We see it in the great number of signs that all point to the rapidly approaching tribulation. Ezekiel 38 predicts a latter-day invasion of Israel led by a coalition of Russia, Iran, and Turkey. It's almost as if the prophet was reading news stories from just last week. On November 22, Russian President Vladimir Putin, Iranian President Hassan Rouhani, and Turkish President Erdogan met together at the Russian Black Sea resort town of Sochi to discuss the future of Syria, where all three have a significant military presence. They have no intent of leaving, only that of increasing their power in the nation. This public display of harmony between all three nations is exactly what we would expect ahead of the battle of Gog and Magog in light of Ezekiel 38-39. Such unity signifies, for example, that if Israel attacks Iran the other countries would respond as well. Russia made that clear a couple weeks ago, and now Turkey is also a part of this alliance. It's possible that this accord could dissolve and their armies could leave Syria. However, it's much, much more likely this indicates that the assault against Israel predicted by Ezekiel could become a reality in the coming months or years. Why Would They Attack Israel? The next question is this: Why would they attack Israel? Are we seeing events that could spark the war of Ezekiel 38? Yes! The Times of Israel this week reported the warning Benjamin Netanyahu gave to Syrian President Bashar Assad. He said that if he allows Iran to set up a permanent military presence near Damascus, Israel will intervene militarily in the Syrian civil war. Is this a serious threat? Absolutely! Netanyahu will attack if Iran continues to build up its forces so close to his nation's border. Satellite images confirm that Iran is setting up a large military camp near Damascus, just thirty miles from the Israeli border. The warning by Netanyahu this week is just one of many he has made regarding the expanding Iranian presence so close to Israel. Do you see how this could lead to a much greater conflict? With Russia and Turkey now so closely aligned with Iran, they would certainly join in responding to the attack along with the other Muslim nations mentioned in Ezekiel 38 who seize the opportunity to take part in destroying Israel. The prophet says that God will lure Gog, the head of Russia, into the battle because of the spoil he could gain from the invasion (Ezek. 38:12). Until recent years, Israel has never possessed the type of wealth that would interest her enemies. Now they do. Israel possesses a large deposit of natural gas just off her shore and a massive reservoir of oil under the Golan Heights. These are exactly the two things Putin desires and needs to help his flailing economy. Furthermore, possession of Israel's oil would greatly enhance his standing as the world's new "energy czar," a title Putin recently appropriated for himself. Do you see the preciseness of Ezekiel's prophecy in these events? I could write for several more pages about how the nations are lining up exactly as Ezekiel predicted. On Tuesday of this past week, North Korea launched a missile many believe is capable of reaching any city in the United States. They have a hydrogen bomb that is capable of totally destroying cities anywhere on the globe. Yes, we have always heard threats of war throughout history, but the current ones differ in intensity such as not seen since the cold war. With North Korea possessing such deadly weapons, tens of millions could die instantly in a war with them. With so many nations possessing nuclear warheads, the threat of potential devastation is something the world has never seen before now. Not only does this fulfill Jesus' words regarding wars (Matt. 24:6-8), but also the potential for all humanity to die (24:22). Besides the daily threats of wars and even rumors of WWIII starting soon, numerous wars are already in progress. At this moment, there are 17 wars taking place with at least one thousand deaths in the past 12 months. That number jumps to 45 if we make the minimum deaths one hundred in number. Jesus said that earthquakes of increasing frequency and intensity would mark the last days before His return (Matt. 24:7). Not only would they resemble birth pains in this regard, they would occur in a wide variety of places. Is this not what we are seeing today? Earthquakes are becoming much more numerous than ever before in history and are occurring with greater intensity as well. In the past seven days, there have been 130 earthquakes in the world with an intensity of 4.0 or greater. An earthquake occurred in Dover, DE of all places just this past week. California has seen a dramatic increase in minor earthquakes during the past month and as many as one hundred in just the past week. This has intensified fears that the long anticipated major earthquake could occur quite soon, perhaps within weeks. Scientists expect we will see a significant increase in catastrophic earthquakes during 2018 due to an ever-so-slight slowing of the earth's rotation, this added on to their already historic frequency and intensity. This trend of more frequent and severe earthquakes will continue on into the tribulation. During the tribulation, the antichrist will setup a one-world government supported by a one- world religion. Do we see evidence of this happening today as never before? Absolutely! The UN 2030 agenda calls for precisely such a world order by the year 2030. Almost every world leader supports this goal as do the major banking powers in Europe. The leaders of both major political parties in America agree with this strategy, which is why they bitterly oppose the "Make America Great" strategy of President Donald Trump, which has temporarily interfered with their plans. Pope Francis has been quite vocal in the past several years calling for both a new world order as well as a one-world religion. Never before in history have we seen a high-ranking religious leader calling for such a government or for all faiths to unite as one, such as is prophesied for the coming tribulation. Yes, this has been building for a long time. But now, as never before, everything is ready for the implementation of this new world order. The advances in technology make it entirely possible now for the coming antichrist to control buying and selling throughout the world. Some companies are already implanting chips in their employees, such as what will happen worldwide during the tribulation. One commercial shows a man walking through a grocery store, filling his pockets with various items, and walking right out the door. At first you think he is a shoplifter, but then the security officer tells him he forgot his receipt. Chips on him and his purchases instantly recorded the payment from his account for everything he purchased. With the advances in artificial intelligence, it's becoming increasingly possible for someone to control all buying and selling worldwide from one central location. We have never before seen such capability to fulfill the words of Revelation 13:15-18. The advances in artificial intelligence are mind boggling. One person recently started a new religion to worship it. This has the word "tribulation" written all over it! There is a great difference in the signs we see today of the approaching tribulation. I have just scratched the surface of all the prophetic indicators that this time of great turmoil upon the earth could start at any moment. The preciseness of prophetic fulfillment abounds as well as the increase in frequency and intensity of the signs, just as Jesus said would happen at the end of the age. This all points to the soon return of Jesus for His church, which I believe will occur before the tribulation, which seems to be much closer than many realize. I admit that I also struggle with what is happening in our world. On the one hand, the signs seem so strong that I wonder if we will even see Christmas this year before Jesus comes for us. On the other hand, I know He could hit the pause button, give people more time to repent, and as a result we may see more holidays before Christ appears. Are you ready if Jesus should come today? Is your trust for eternal life solely in Jesus and His saving work on your behalf? With all the indicators pointing to His soon return, you may not have tomorrow. Can you really take the chance that Jesus will delay His arrival any longer? In my previous epistle (as in all of them in this series), I told you of the glorious, eternal future that awaits all who die who will have remained faithful to the Lord during this final 7 years. As I have previously stated, there will only be 1/3 of the Jewish people who will survive the entire 7 years of the Tribulation. Very few Gentiles (non-Jews) worldwide will live and survive through this global cataclysm as well. The harsh reality is that, in all probability, as I've stated numerous times, it's very likely you will not be one of the survivors. Again I reiterate that you need to heed the calling of God and come to salvation as quickly as possible. I also must exhort you by the grace and power of the Holy Spirit, who will enable you to do so, that you remain faithful to Christ even unto death if need be. 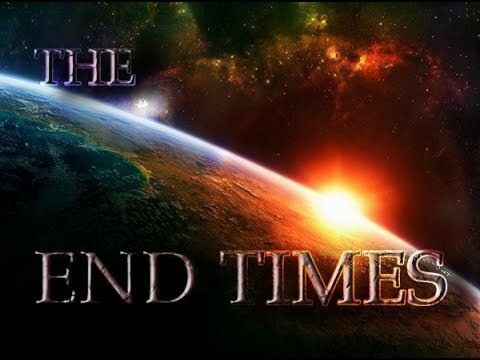 Even if you should somehow survive the coming horrors, yet you remain lost without Christ, or if you deny Him and take the coming "mark" that the Antichrist will mandate, then you will certainly die anyway at the end of these last 7 years when the King of Kings (Jesus Christ) returns to set His foot upon planet Earth again. If you are saved, it will be in Heaven along with Christ, the already glorified Church, and all the Old Testament Saints who will also be awaiting their new glorified bodies. If you are not saved, you will find your sentient, conscious self in Sheol (Hell) where your soul will suffer in torment until after the literal, 1000-year reign of Christ upon this earth is concluded. At the end of Jesus' earthly reign, you will then face Almighty God at the Great White Throne Judgment. There, you will be given an eternal body that will be constructed never to die, but to suffer, along with Satan and all the fallen angels in the place of ultimate judgment and torment called the Lake of Fire. In this final place of all condemned souls, you will suffer in a conscious state and be able to experience great pain, loss and regret for all eternity. From this torment (both in Sheol and ultimately in the Lake of Fire), there will be no escape, no hope and no possibility of annihilation to ease or stop your suffering. However, the great news is that you don't have to go there. God never intended that man should go to that dreadful place. It's the very reason that God the Son came and paid the penalty for mankind's sinful state, so that all who are willing to believe in Him - all who are willing to accept freely His offer of pardon for their sins - can escape such a horrific place. "For God is not willing that ANY should perish (eternally) but that all should come to repentance." However, God will not ever force that choice on anyone. It is ours alone to make. Each one of us will either choose eternal life through Christ Jesus, or we will reject His offer of eternal salvation and continue on in our own way and end up in an eternal Hell. Extremely sobering choice, isn't it? So, what will you do with Jesus? Please read again the previous chronicle before you go any further, because you need to be reassured that there is eternal hope for all who are willing to come to salvation - those of you who are willing to lay down your physical lives so that your immortal souls may be eternally saved. Read again the previous letter and draw strength from the Word of God, because for those of you who are now living the events told of in these narratives, we have now arrived at the midpoint of the last 7 years of human history under the regime of Satan, the usurping fallen cherub, who is the Prince of Darkness, the Great Deceiver, and the enemy of the Most High God. From here on out, events that have already been devastating will now become cataclysmic on a scale that is beyond description. Events will move rapidly and with far greater intensity from now on during these last 3 1/2 years left before the Messiah King returns. As I have told you in previous letters, at the beginning of this last 7 years, there will arise upon the world stage a man who will "confirm a covenant" with Israel and "many" other nations. This man, whatever his name turns out to be, will be the long-foretold Antichrist. He will at first appear to be a man of peace, but in reality will be the ultimate deceiver. He will use "peace" as the means by which he will bring absolute destruction upon planet Earth. Early on, he will make it possible for the Jews to rebuild their Temple on its ancient site, and will (at first) allow the Jews to re-institute Temple animal sacrifices and worship in accordance with their ancient religious practices. This largesse on his part will not last. There will also arise on the scene another man who will aid the Antichrist. This man will be a religious leader under whose leadership all of the false, ecumenical religions will be united. This religious figurehead will, along with the Antichrist, possess great supernatural powers and abilities that will be granted to them by Satan himself; and by these powers, these two unholy men will deceive and destroy many. 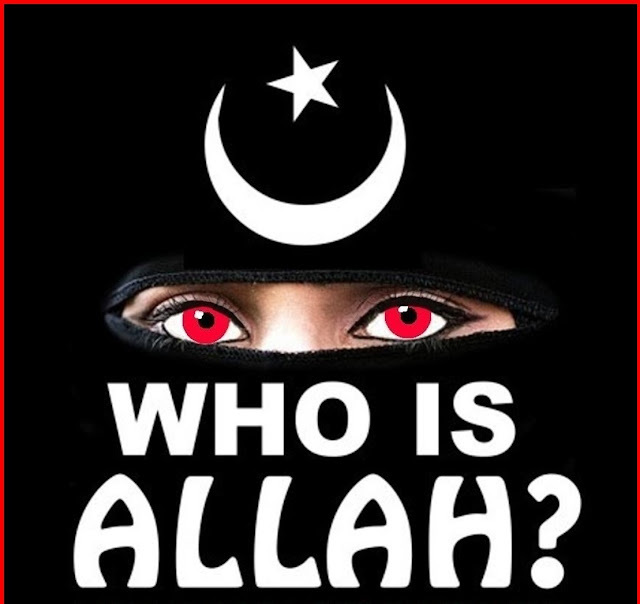 This religious leader will institute some type of identification or "marking" system that utilizes the identity of the Antichrist, his name, or the numerical value of his name as an identification system, a tracking system, and as a pledge of fealty to the Antichrist and his global system. Taking this mark not only identifies the taker as a part of his global regime, it also signifies acceptance and worship of the Antichrist himself, along with loyalty to his globalist system. Receiving this mark also condemns to Hell every single person who takes it! From this act of acceptance, there is NO forgiveness. You will recognize this "mark" because it will be mandated for every person on earth. Without it no one will be able to buy, sell, transact business, rent or own a home, carry on daily commerce, receive medical help, travel freely in society, and so forth. Also, everyone who refuses to take this mark will be targeted, hunted, and executed by the global elites who will be in charge. Nevertheless, it is much better to die physically refusing this "mark" and remaining faithful to the Lord Jesus, than to accept it and have your soul eternally damned. All who become believers will have the very Holy Spirit of God with him/her, who will come along beside you to give you the grace and strength you will need to refuse the mark and accept martyrdom for the Lord's sake. Also at midpoint, the two Jewish emissaries of God - His "two witnesses" - will have been preaching in Jerusalem for the first 3 1/2 years of the Tribulation, untouchable by anyone including the Antichrist and his hellish False Prophet. At midpoint in these last 7 years, however, God will allow the Antichrist to kill these two men. Their bodies will lie unburied and undisturbed in the streets of Jerusalem for 3 1/2 days. The entire world will watch their execution. The entire world will be able to view their dead bodies lying in the streets of Jerusalem via satellite TV, on all forms of social media, and via cell phones. The entire world of unbelievers will rejoice in their deaths, even going so far as to give gifts to each other in celebration of their murder by the Antichrist - that is until the power of the Holy Spirit resurrects their dead bodies, at which time they will be bodily caught up back into Heaven when the Lord shouts for them to arise with the command to, "Come up here." As a result of the ministry of these two witnesses, God will save and seal 144,000 Jewish young men - 12,000 from each of the 12 ancient tribes of Israel. God will send these 144,000 redeemed men out into the entire world as His witnesses. As a result of their evangelism, millions upon millions of lost people the world over from every nation, kindred, tribe and tongue will come to salvation in Christ. If you should encounter one or more of these Jewish men (or any Jewish believer), you must do all you can to render them aid, provide shelter, offer protection, and defend them. You must, even at the cost of your own life, preserve their mission; for Christ said that anything one does either for or against any of these, whom He specifically calls "His brethren," He (Christ) will view it the same as having been done to Him personally. Now we come to the specifics of what will identify this time as the midpoint and the beginning of events that will usher in God's GREAT tribulation. From here on out, it will be literally Hell unleashed on earth. This is not metaphorical nor is it hyperbole, for as you will see in subsequent letters, The Abyss (Tartarus) will be opened and all manner of actual demonic entities along with the bound, fallen angels will be released: Those who sinned so egregiously that God Himself imprisoned these particular ones there in the Abyss, and four great angels bound in the Euphrates River who will be unleashed in the spirit realm. You may read in Genesis chapter 6 and in Jude about what this particular group of fallen angels did that so angered God that He bound them in Tartarus from the time of the Flood of Noah's day. These demonic entities will hereafter make incursions into this dimension. As you will have already seen, supernatural events will have been visibly occurring on an almost daily basis. These kinds of things will increase in both frequency and intensity. From now until the end, nothing in the life you are now living will be even remotely normal anywhere in this world. Therefore, prepare for God's wrath to be poured out on this wicked, vile, debauched, Christ-hating world. Prepare yourself. The Lion of Judah is about to ROAR. (1) The Antichrist will receive what will appear to be a mortal head wound; however, he will miraculously recover from this wound. It is probably at this time (around the midpoint of the last 7 years or possibly just before, when this global leader either is killed or more likely will appear to have been killed and suddenly "resurrects") that Satan himself actually enters the body of the Antichrist and possesses him. Watch for this great world leader (the Antichrist) to suffer a fatal or near-fatal head wound from which it appears that he miraculously recovers. (2) Three and one half years into this last 7 years (midpoint), the Antichrist will betray the Jewish people by breaking his covenant with them. He will install an altar to himself with some type of "living" (possibly some sort of artificial intelligence-AI) image of himself in the most holy of places - inside the Temple called the Holy of Holies. He will then demand that everyone everywhere worship him as God. This is an act that Jesus in the Bible called "the abomination of desolation" or the "abomination that causes desolation." Watch for this event. (3) As a result of this betrayal, the spiritual eyes of many Jews will finally be opened to the true identity of this deceiver, and many of them will come to salvation in their true Messiah, Jesus Christ. God will supernaturally protect this now believing Jewish remnant by providing a safe and secure haven for these new believers, immediately following this betrayal. He will protect them in the area of Petra (Bozrah). See Isaiah 63. Watch for a mass exodus of Jews relocating into Jordan just after the Antichrist defiles the Jewish Temple, which will happen 3 ½ years into this last 7-year time period. God has prepared a place for them there, and these Jews will be protected and sheltered in Petra/ Bozrah until Messiah Jesus returns to rescue and free them. 1/3 of all of Israel will come to belief in Jesus as their Savior Messiah (Zechariah 13:8-9) after this ultimate betrayal. 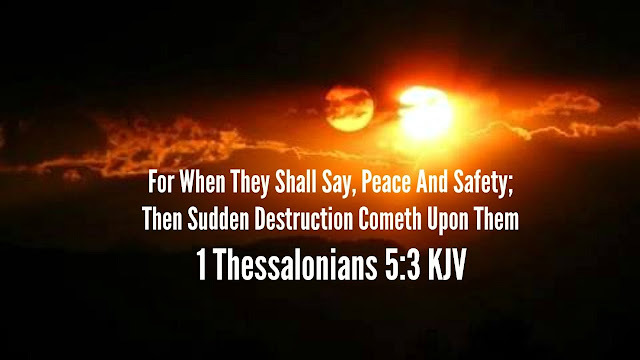 This 1/3 of the Jewish nation will be spared and will be brought safely through the Tribulation so that, by the end of this time, ALL of remaining Israel (that is ALL who are left alive and are now believers in Jesus as their Messiah) will be saved, just as scripture says they will be. (Read about this in the New Testament book of Romans chapter 11:25-27). Sadly 2/3 of the Jews will perish physically. As a result, they will suffer eternally as well in the Lake that forever burns with fire. (4) The two Jewish witnesses will be killed, but will be resurrected 3 1/2 days later. (5) The False Prophet - the religious leader - will mandate that every person be required to receive some sort of mark in their right hand or in their forehead. This "mark" will be in some way identified with the Antichrist, his name, or the numerical value of his name. DO NOT TAKE THIS MARK. 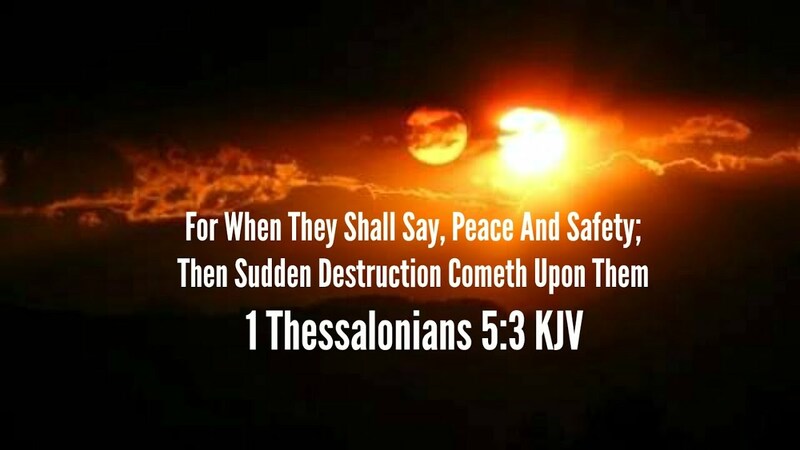 (6) The slaughter of Christian believers (Tribulation believers or Tribulation Saints if you will) that will have already begun will ramp up to an unprecedented level. Most of these new believers will be killed by beheading. Remain faithful! The Holy Spirit will give you all the strength and grace you will need to endure, and to overcome the pain, fear, and death. Remember, the very instant your soul leaves your body, you will be in the presence of God, never to be hurt or suffer again! Hold on to this hope! (7) Unprecedented, ecological disasters will now begin. (8) Supernatural, demonic incursions into this dimension will become much more frequent and increasingly more intense and direct. These are the events that will mark and identify that you will have reached the midpoint of the Tribulation. In my next letter I will endeavor to acquaint you with what is to come during the last half. Read Revelation chapters 7-19. I will attempt to help you decipher and understand what is recorded there. Things will doubtless be much clearer to you, since you will be living these things, than they are to those of us reading of these coming events on this side of the rapture. As always, the Holy Spirit of God will illumine and clarify your understanding so that you will be able to see, know, and understand all that will be coming to pass. Remain faithful even unto death. Worthy is the Lamb! Gifts are fun to receive. Whether it's a birthday present, Christmas present, anniversary present, or just because someone is thinking of you they bring joy into our life. The greatest gift that ever was given came from God because He loves us. This is a very familiar verse and we may take it for granted but it reveals such a wonderful blessing and the perfect love of God towards us. Jesus Christ, the second person of the Holy Trinity, chose to become a man in order that we can be redeemed from our sin and certain eternal death. This is a gift of love that is unmatched by any other gift that has ever been given. This one gift makes many other gifts available. Because He chose to enter His creation it also meant He chose to become our once for all sacrifice for the forgiveness of our sin. He rose from the grave and ascended to Heaven and faith in Him brings grace and offers gifts. "But unto every one of us is given grace according to the measure of the gift of Christ. Wherefore he saith, When he ascended up on high he led captivity captive, and gave gifts unto men." Ephesians 4:7-8. The gifts given by Christ through the Holy Spirit are offered free to all believers but are more valuable than diamonds or gold. When we accept Jesus Christ for our salvation we're sealed with the Holy Spirit. That's like putting a treasure inside a clay pot and securing it so nobody can take it away. The first mention of the Spirit of God is in the creation account and throughout the Old Testament the Holy Spirit came upon people and gave them power and guidance. The Spiritual help could easily be taken away because at that time the Holy Spirit wasn't sealed within a person. When David sinned during the incident with Bathsheba, the prophet Nathan brought this transgression to his attention and David was repentant. He grieved over his sin and went to God and asked forgiveness. He also asked that the Holy Spirit not be taken away from him. "Create in me a clean heart, O God; and renew a right spirit within me. Cast me not away from thy presence; and take not thy holy spirit from me. Restore unto me the joy of thy salvation; and uphold me with thy free spirit." Psalm 51:10-12. David knew that he needed God's blessing in his life and without the Holy Spirit he would be empty. How often do we as Christians grieve over our sin and ask for forgiveness? Probably not as often as we should. So often we don't even care that we are sealed with the Holy Spirit and continue to sin with no grief on our part. "And grieve not the holy Spirit of God, whereby ye are sealed unto the day of redemption." Ephesians 4:30. We may not grieve, but the Holy Spirit does. We can't lose our salvation but we can, like David, lose the joy of our salvation when we ignore and grieve the Spirit within us. Once we receive God's gift of salvation other gifts are waiting for us. There are many and each one is to be desired. "Even so ye, forasmuch as ye are zealous of spiritual gifts, seek that ye may excel to the edifying of the church." 1 Corinthians 14:12. Today many Christians deny that these gifts exist and therefore reject the power of the Holy Spirit. These gifts aren't a fairy godmother type of thing found in fictional fairytales, but a solid gift from God to be used for the edifying of the Body of Christ. The gifts aren't to be used for your own personal gain, but are to be used to help fellow Christians and glorify God. "But the end of all things is at hand: be ye therefore sober, and watch unto prayer...As every man hath received the gift, even so minister the same one to another, as good stewards of the manifold grace of God."." 1 Peter 4:7 & 10. We are rapidly nearing the end of all things and we need to keep our wits about us. Instead of desiring the praise of men we need to seek the approval of God and do all we can to glorify Him by using the gifts He gives. Stewardship is often associated only with managing money, but it means to manage all things well, especially the grace of God. God wants us to understand and use the gifts He has available for us. The Apostle Paul had much to say about Spiritual Gifts and we can learn so much from his letters. "Now concerning spiritual gifts, brethren, I would not have you ignorant." 1 Corinthians 12:1. There are various gifts listed throughout Scripture and you can't just go to one verse and understand them. Like everything else in God's word it is spread throughout the Old and New Testaments and it takes study to gain understanding. Throughout the book of Judges we see the phrase "and the Spirit of the LORD came upon him" and that's when the particular judge would accomplish what God had chosen him for. When Samuel anointed David we're told "...and the Spirit of the LORD came upon David from that day forward..." 1 Samuel 16:13b. There are many more Old Testament verses regarding the Spirit coming upon people, but there are also verses where it was taken away. It was taken away from King Saul when he defied God. That's why it's such a blessing that the Holy Spirit is sealed within Christians. We can ignore Him, but He will always be sealed within us. On the Day of Pentecost the power of the Holy Spirit was strong and the Apostles spoke in tongues so the strangers in Jerusalem could understand in their own language what was being said. "And they were all filled with the Holy Ghost, and began to speak with other tongues, as the Spirit gave them utterance." Acts 2:4. There are some who twist this to imply that unless you speak in tongues you aren't saved. Tongues is just one of the gifts and not necessarily the one the Holy Spirit gives to you. "For I would that all men were even as I myself. But every man hath his proper gift of God, one after this manner, and another after that." 1 Corinthians 7:7. If you have this gift remember that it also includes abstinence. "Now concerning the things whereof ye wrote unto me: it is good for a man not to touch a woman. Nevertheless, to avoid fornication, let every man have his own wife, and let every woman have her own husband." 1 Corinthians 7:1-2. When a gift is given the means to use it is also given but it's all important to listen to the prompting of the Holy Spirit. Nine gifts are listed in 1 Corinthians chapter 12. "For to one is given by the Spirit the word of wisdom; to another the word of knowledge by the same Spirit; to another faith by the same Spirit; to another the gifts of healing by the same Spirit; to another the working of miracles; to another prophecy; to another discerning of spirits; to another divers kinds of tongues; to another the interpretation of tongues: but all these worketh that one and the selfsame Spirit, dividing to every man severally as he will." 1 Corinthians 12:8-11. The one in this list that surprises me is the gift of faith. This isn't talking about a saving faith in Christ, but the faith to trust Him in all things. When things go wrong in life those who have the gift of faith will look to God knowing that He will provide. We can find another list of gifts in Paul's letter to the Romans. "Having then gifts differing according to the grace that is given to us, whether prophecy, let us prophesy according to the proportion of faith; or ministry, let us wait on our ministering: or he that teacheth, on teaching; or he that exhorteth, on exhortation: he that giveth, let him do it with simplicity; he that ruleth, with diligence; he that sheweth mercy, with cheerfulness." Romans 12:6-8. 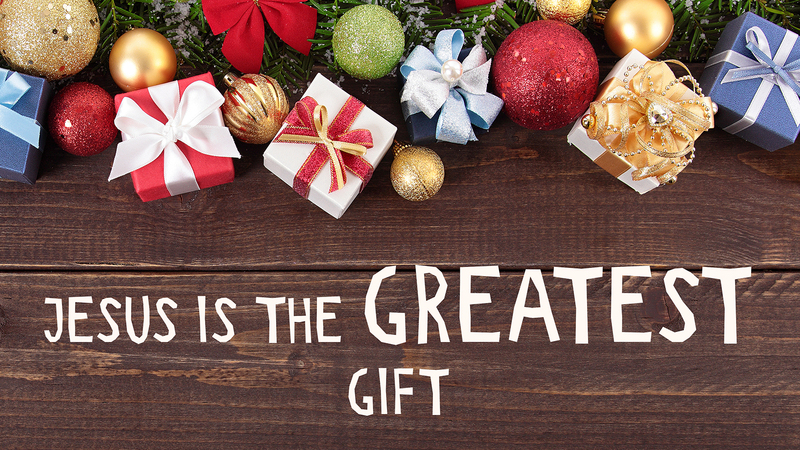 The gifts are as important today as they ever were. It's important that you seek your gift and don't sit around fretting about "what's my gift" instead of doing things for the glory of God. Start by offering to do something you're skilled at, such as teaching. If you teach a Sunday school class and the Lord blesses your efforts then you've found one of the gifts He has given you. Try various things to see if God blesses your efforts; you aren't limited to one gift. Remember, it's all for His glory and not for your own. Use your gifts to help fellow Christians and to be a witness to the fallen world around. It shouldn't be a burden to use your gifts in service for the One who has given you everything. You may need to sacrifice time spent in your own pleasures in order to serve Him. Jesus Christ gave His life so you can live. You have a choice as to whether to accept this free gift or not. If you haven't accepted the gift of salvation then don't wait another moment. If you've never been told that you're a sinner destined for eternal death in the lake of fire, then you need to talk to a pastor, a Christian friend, or send me an email. There's no other way to live eternally than by accepting the shed blood of Jesus Christ for the forgiveness of your sins. He is truly God's greatest gift to mankind. God gives gifts unto men but you must accept them. It's your choice. MEN OF RENOWN: THE RETURN OF THE NEPHILIM/A.I.